Hello! Today, I chose to don a patriotic look perfect for sunny skies. 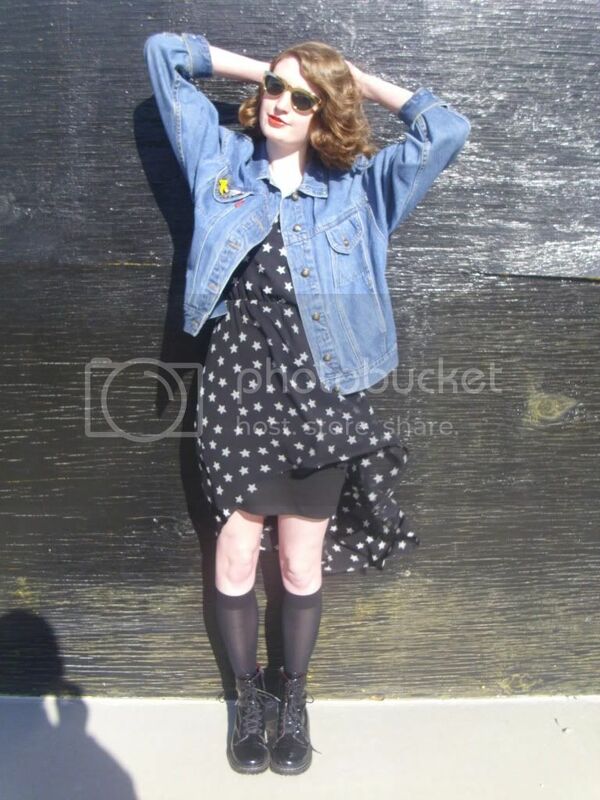 I started my outfit with this high-low star print dress and layered a vintage denim jacket over top of it. I found this jacket at a thrift shop yesterday for just $5; score! I accessorized the jacket with a few pins including a CITGO pin, American flag pin, safety pin and Pluto pin. It was quite windy outside today so I slipped into a black body-con skirt under my dress in order to avoid any Marilyn Monroe moments. 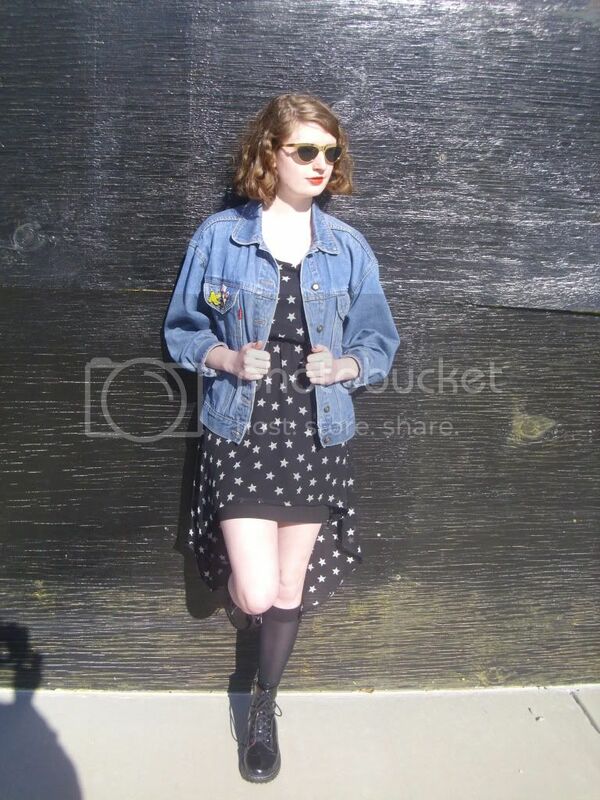 Black combat boots and knee high socks were also worn. Gold rimmed sunglasses and red lips added the finishing touch to this full-fledged American look. Love that hi-low hem on the dress! I love this look! The socks looks awesome with the outfit! 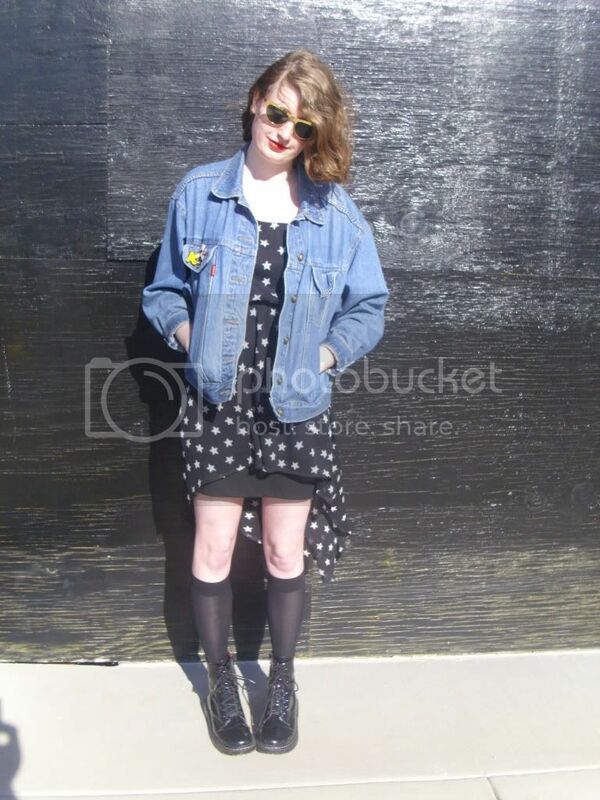 you look super nice in this vintage-inspired look - sweet dotty dress and nice denim jacket! Cute! I like the way you paired the socks with that dress!! Thanks for stopping by my blog! Love your quirky vintage style!